Adrenalin-fuelled contemporary epic score. Featuring music highlights from Torchwood series 3, the spin-off series from Doctor Who writer Russell T Davies. 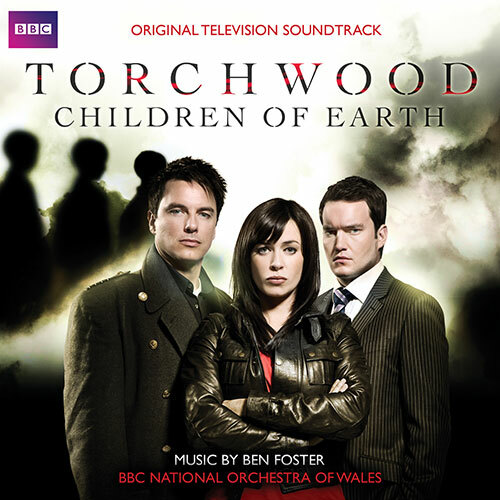 Ben Foster is best-known for his work as orchestrator and conductor on Doctor Who and as composer for Torchwood. His work on Torchwood has earned him two nominations for best soundtrack at the BAFTA Cymru Awards. Ben started his Film & TV career with scoring over 30 short films for various European directors and subsequently writing for a variety of television programmes. Most recently he has worked on big budget films The Mummy 3 – Tomb of the Dragon Emperor, Glorious 39, Is Anybody There? and Hoodwinked 2. In May 2009 he conducted the London Soundtrack Orchestra in the first complete performance of Herrmann’s score to Psycho live with the film. Ben was chairman of the judging panel for BBC Young Musician of the Year 2008 and is a regular contributor to various programmes including Blue Peter and Clash for CBBC. Due to the popularity of the series, Torchwood has made a swift move from BBC Three to BBC Two, with the new series, Torchwood – Children Of Earth, finding itself on BBC One. Children of Earth, an epic story told over five nights, is Torchwood’s greatest adventure yet. Starring John Barrowman (Captain Jack) Eve Myles, (Gwen Cooper) and Gareth David-Lloyd (Ianto Jones).